Tired of the long layovers when traveling to Israel? Worry not, because pilgrimage tours will no longer be more than 10 hours! Philippine Airlines (PAL), the country’s flag carrier, will soon open a direct flight from Manila to Tel Aviv in Israel. This is good news for all Filipinos who have been dreaming of a spiritual pilgrimage to the Holy Land or a Mediterranean getaway. Hassan Madah, Director of Israel’s Ministry of Tourism is in talks with PAL President Jaime Bautista to finalize details of the venture. 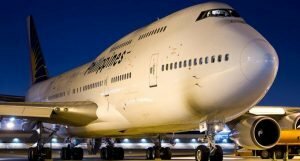 When Saudi Arabia finally allowed the use of its airspace to commercial airlines, the two saw a bigger possibility in the plan to provide direct flights. Going through Saudi Arabia will cut down travel time between the two countries by at least an hour. According to the Embassy of Israel in the Philippines, data from the Ministry of Tourism show that 23,500 Filipinos traveled to Israel in 2017. This is an increase of 61 percent from the 14,600 tourists who visited Israel in 2016. Turkish Airlines and Cathay Pacific are already offering new flight routes that allow Filipinos to travel to Israel through Istanbul and Hong Kong. Madah attributes the significant increase in tourists from the Philippines to better accessibility because of these flights. Meanwhile, Israel’s Ambassador, Effie Ben Matityau is confident that more Filipinos will visit Israel. The Ambassador said that tourism stands as a strong pillar of the two countries’ growing ties and people-to-people exchanges as Philippines and Israel celebrate the 60th anniversary of their friendship treaty. Opening a direct flight from the Philippines to Israel gives Filipinos more chances to afford traveling to Israel – time-wise and money-wise. Madah recalls that PAL used to fly above the Red Sea, which contributes about two hours more to the travel period and requires more fuel. Furthermore, with the opening of the direct flight to Tel Aviv, Manila can become a Southeast Asian Hub, allowing Israelis to travel to other countries like Australia through the Philippines. And apart from the 90-day visa-free access for Philippine Passport holders, the proposed direct flights from Manila to Tel Aviv is expected to be more affordable and will get travelers to the city more easily and quickly. This is good news for Israelis, as well, as it translates to economic growth through tourism. So whether it is the vast deserts and beautiful ancient cities of Israel, or the blue waters and tropical islands of the Philippines, travelers will have more opportunity to enjoy the sights and scenery of both countries.